Buying Guide We've gathered together the best laptops money can buy for writers and journalists. Buying Guide HP has risen to one of the top laptop makers in the world – here's a look at the best HP laptops. Buying Guide We ranked the top laptops for music production and DJs. In Depth Digging into Apple’s new Mac Pro 2019, its first modular computer for pros and prosumers. In depth The Surface Studio lineup has always been the premier devices for artists. But, what does the future hold? Here’s what we want to see from Surface Studio 3. Killer's latest wireless card gives a speed boost of 40%, plus better performance in congested Wi-Fi areas. Sharp is putting it's Toshiba acquisition to use with a new Dynabook AIO PC with a high-spec display. Updated All-in-one PCs come with Windows 10, macOS Sierra and ChromeOS these days. But which is best? 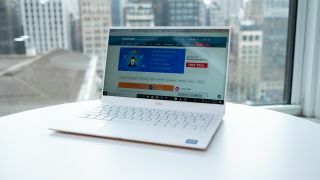 Buying Guide It might be time to get yourself one of the best computers of 2019, handpicked by our PC experts.